Fiverr's presence at Cannes also includes panels around branding. Nothing says “let’s celebrate our industry” more than hiring freelancers to attend the biggest advertising gala on the planet and put together a “live creative studio” to create a global campaign in a mere five days. Who needs an agency when we’re in the Gig Economy? The campaign, a partnership between freelance marketplace Fiverr and Cannes Lions, is for the festival’s “The Work,” a digital platform where people can search creative work from 2001 to the present day. 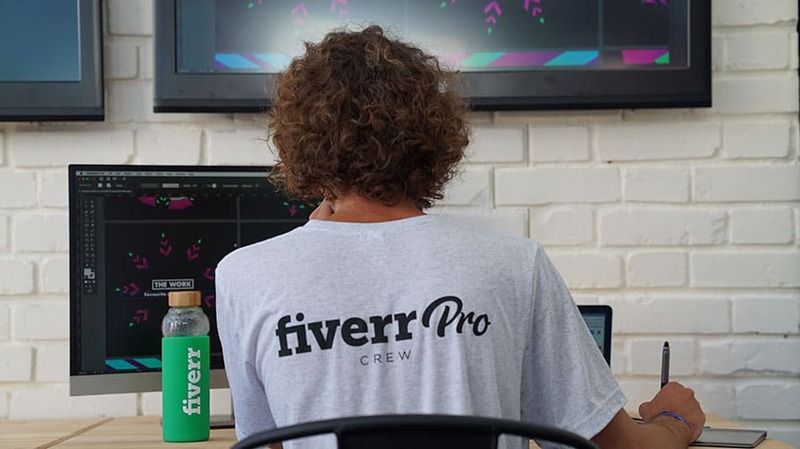 Over the next few days at the festival, six on-site “Fiverr Pro” freelancers (along with one remote copywriter) will create the work at a studio, where attendees can come by and see the campaign come alive. 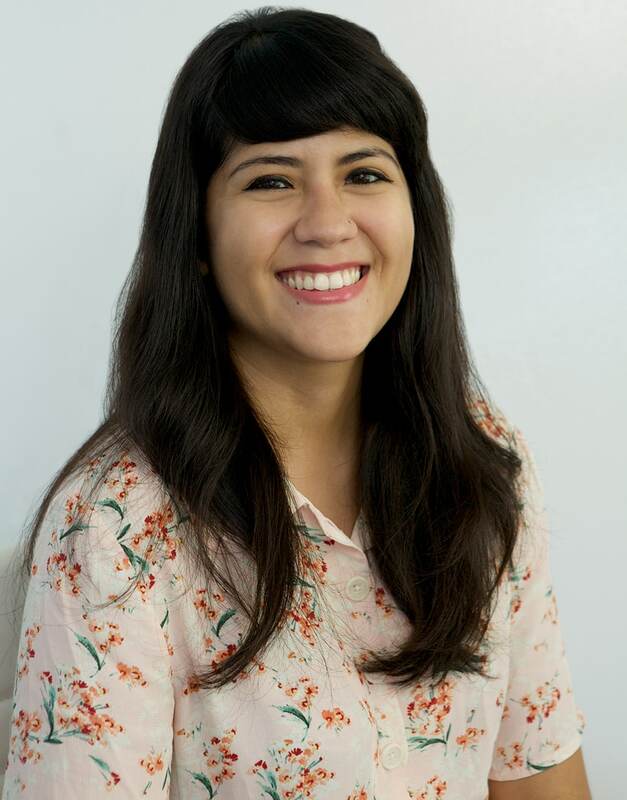 “The takeaway [here] is that there’s world class talent a click away,” said Chris Lane, global head of brand at Fiverr. The partnership is interesting to say the least, considering Fiverr isn’t the friendliest company towards creatives. And it’s certainly no stranger to controversy, whether it’s the company’s infamous “Doer” campaign or letting a 15-year-old in Singapore create videos for then presidential candidate Donald Trump. However, Clare Hill, Cannes Lions vp brand marketing, said the campaign is about highlighting the creative talent that’s out there. Lane emphasized that the campaign represents two things about the brand: firstly, the Fiverr Pro program, which includes vetted freelancers; secondly, that there’s a whole other way of creating and executing creative work for campaigns. For Cannes Lions, the partnership and campaign’s main focus is to bring attention to “The Work” (which has a free trial through July 31) and work with a partner that’s “pushing the boundary” in the marketplace, Hill said. The campaign materials will be used over the next 12 months and promoted across all Cannes Lions media channels. 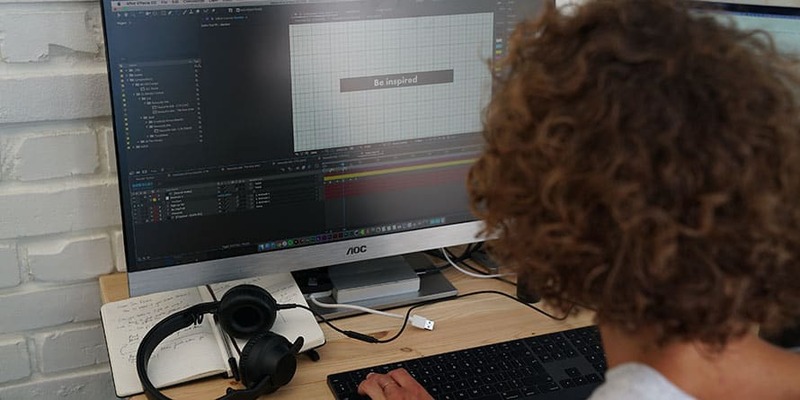 The studio itself includes a variety of workspaces necessary to complete a campaign at this level, like a cartography section, video area and design space. 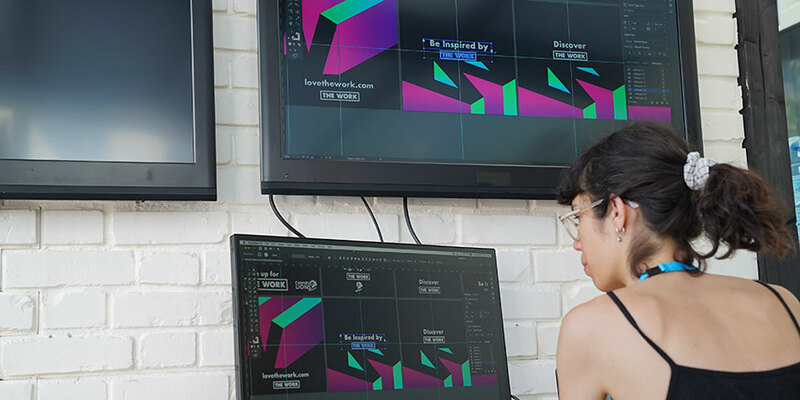 While the creatives are putting together their work on tablets or computers, there’s an overhead monitor that’s showing their work in real-time. In addition to live studio, Fiverr is also hosting a variety of panels at the festival around branding and creativity. “This is the future of creativity, and it’s amazing to bring this story together,” Lane said.